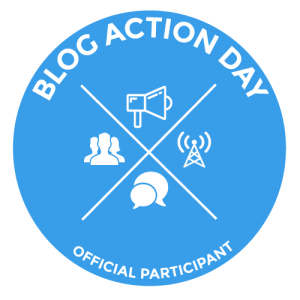 Blog Action Day #BAD15 is here and you are invited to join us and #RaiseYourVoice. Today is the day you must speak out. Let it be the start of many such days. To those driven to suicide…. Remember these words? You have to #RaiseYourVoice ! Here’s another cause you can raise your voice for. Interlink Publishing, a Massachusetts-based independent publishing house, has collaborated with bestselling cookbook author, photographer, and food writer Barbara Abdeni Massaad (Man’oushe: Inside the Lebanese Street Corner Bakery)—together with nearly 80 acclaimed chefs—on a humanitarian cookbook project whose profits will be donated to the UN Refugee Agency UNHCR to provide urgently needed food relief for Syrian refugees. Check out the book here. Get involved. Buy the book, share on social media and get the word out to as many people as you can. Our linky is for posts you’ve written for Blog Action Day today. It will remain open for just one day. Add your link, read the posts of others and spread the word. I’m inking into #BlogShareLearn today. thanks for your perfectly expressed ideas; the Niemöller quote remains powerful and relevant. Peace and hope and a voice to all of us. It does, Leah. Thank you. Thank you for creating the platform, Karina! Absolutely right, Nabanita. Thank you for writing your powerful post. It is, Lata. Hope to see a post from you too. Those lines by Martin Niemoller are fantastic and such a truth that we can never do away with it. Your post is an inspiration. Thanks for the linky Corinne! I am always inspired by those lines, Parul. Thank you for raising your voice today!